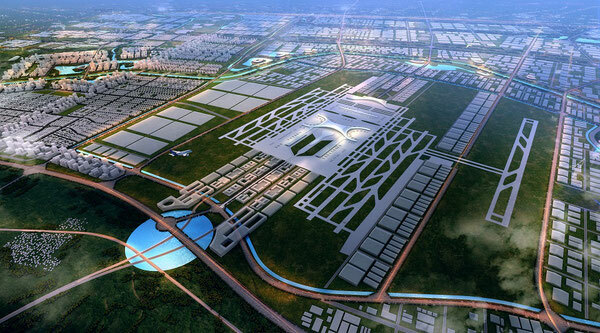 Its dimensions are breathtaking: The Zhengzhou Airport Comprehensive Experimental Zone (ZACEEZ), located adjacent to Henan’s central airport stretches over 415 square kilometers. The project resembles the total size of Vienna (414 km²), Tampa, FLA (441 km²), Yokohama (437 km²) or Casablanca (386 km²). The aim is to put the Chinese province Henan on the global map as the leading centre for trade and logistics services. A new aviation metropolis is emerging in Henan, China’s most populated province, with stunning speed. Founded only in March of 2013, the ZACEEZ has meanwhile attracted investments of private enterprises and state-controlled financiers surpassing the incredible sum of US$369 billion. Its centerpiece is Zhengzhou Xinzheng International Airport (CGO) that will be gradually enlarged from currently 2 runways to 5 by 2045, with the upcoming southern runway (3,400m x 45m) dedicated for operations of cargo aircraft only. Last year, a total of 400,000 tons were handled at Zhengzhou, with 100,000 more expected in 2016. However, that seems to be only the beginning. By 2040, the airport targets an annual throughput of 5.2 million tons of air freight. Main driver of this projected constant upswing of volumes will be the enterprises producing or trading in the vast industrial zone located adjacent to Zhengzhou airport, like Foxconn, Apple or the Henan Bonded Logistics Center (BLC), an influential and financially well-equipped state holding, managing most processes within the ZACEEZ free trade zone. The BLC acts like a broker, trying to align the interests of the provincial government with those of profit-driven private enterprises eager to benefit from the economic bonanza. “We are sitting in the driver’s seat, pulling the strings and linking businesses,” declares Chairwoman Xu Ping very frankly, who is also politically up front as leading member of the National People’s Congress at Henan province. This BLC assignment is fully in line with Beijing's state-capitalistic policy aiming at 'conquering the world' by taking over control of technically and commercially advanced business sectors that are of high interest to put China on top of the industrial development worldwide. It was none other than Chinese Prime Minister Li Keqiang on his visit to the Zhengzhou Free Economic Zone in September of last year who instructed local Chinese traders to follow this approach by adjusting their commercial strategies accordingly, confirms Mrs Xu. At e-commerce trader Jumei.com, located in the ZACEEZ, they are proud of being part of this far-reaching mission pushed forward by China's government politically and through subsidies granted by Beijing and Henan’s provincial government to companies jumping on the bandwagon. 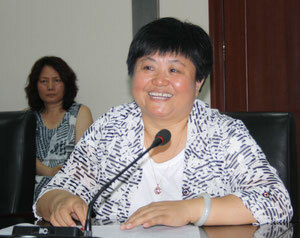 "So far, our top figure was 40 million orders which we received in a single day," states a Jumei.com manager. "Technically we are capable of processing much more," he added to this. Although only in existence since 2013, they meanwhile claim to be China's largest e-wholesaler. The e-commerce platform is mainly financing itself by charging a service fee for each order placed by buyers. For putting China on top of world trade, as propagated by Li Keqiang the rather tiny Luxembourg plays a pivotal role, Xu Ping confirms. "What we are currently achieving here in Zhengzhou we intend to replicate in the Grand Duchy," she announces. That’s only the beginning. Next on the agenda are similar mega projects in North and South America as well as Russia, she announces. The upcoming replicates will be organized, financed and managed similarly as with their forerunner in Zhengzhou. Xu Ping also presents a solution as to how all the traded goods will get from the suppliers to the customers: "This is subject of individual customer decision, mostly depending on urgency and transport price," she states. Although she adds to this that Cargolux is BLC’s preferred carrier when it comes to air transport. "They have a widespread global network, are growing, offer many frequencies to and from Zhengzhou and have an extensive road feeder network, linking Zhengzhou with the hinterlands." The international accessibility will increase, once the projected freight carrier Cargolux China takes to the air in about a year and a half from now.